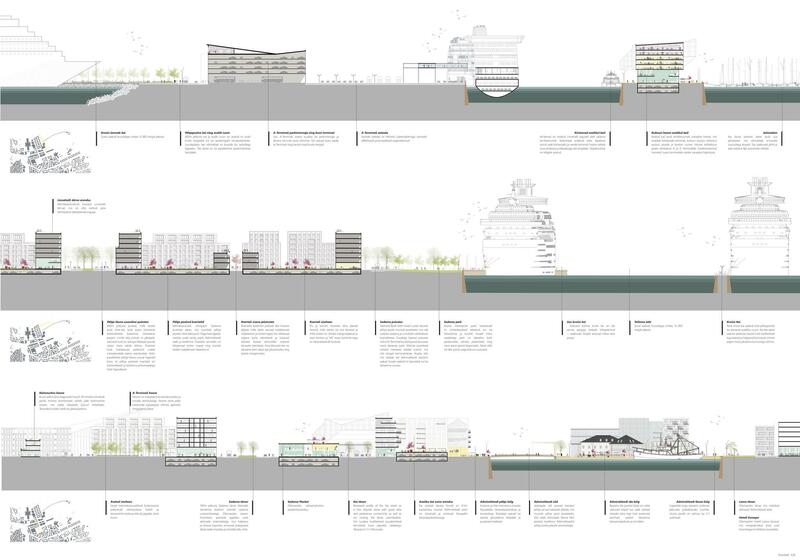 Our Masterplan proposal envisions a seamless integration of three key elements – 1) the large-scale operations of the port terminals, 2) a fine-grain urban fabric that connects the city center with the newly developed real-estate around the port and 3) generous public spaces in front of Terminals and along newly opened waterfronts. The proposed plan presents an opportunity to finally tie the city center directly with water – a link that has been broken for decades – while simultaneously adding a significant mixed-use extension to Tallinn as a whole. Our aim has been to envision an expanded city center, which is continuously walkable and attractive between the Old Town, the central business district and the redeveloped harbor. While both regular ferries and seasonal cruise ships are given ample space for current operations as well as future growth, we propose to gradually relocate the current Terminal A and D buildings so as to better integrate them with the planned urban developments and simultaneously upgrade their structures to meet 21st century standards. The re-structured terminals, along with vibrant edges of the Admiralty Basin become the three most important activators of the project. On a typical summer day, 15,000 passengers arrive on Cruise ships, 17,000 through Terminal A and another 30,000 through Terminal D in the south. 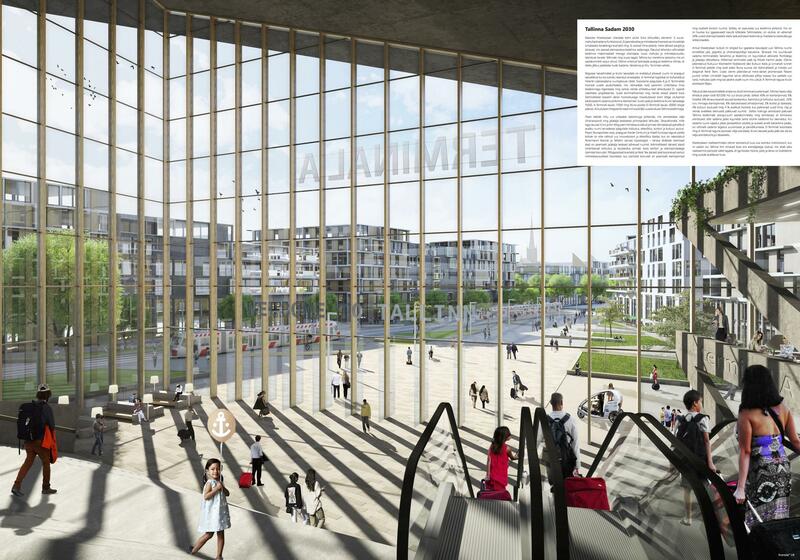 We take advantage of these volumes to generate two new city squares in front of the terminals, analogous to 19th century train station squares. 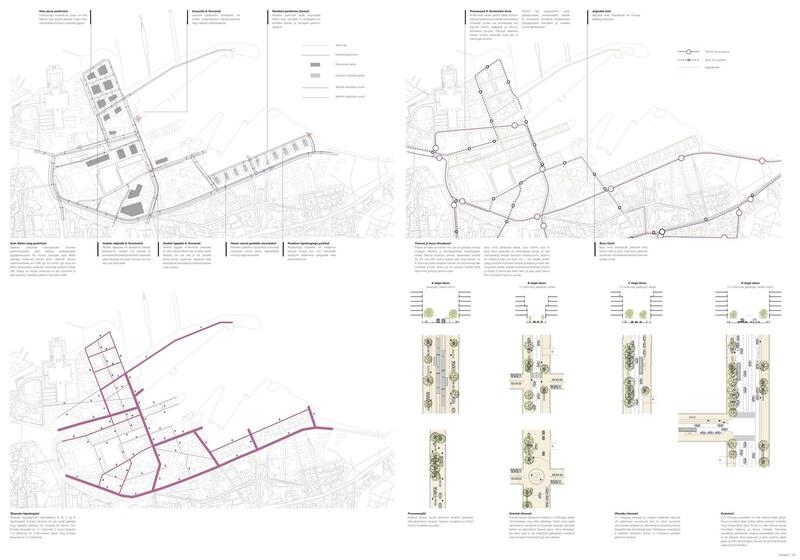 Several newly developed neighborhoods, each with a unique character and morphology, are proposed along the principles of transit-oriented development (TOD) and pedestrian oriented design (POD) throughout the Masterplan. Various uses can be accommodated in flexible 6m and 4.5m high ground floor typologies and mixed-use courtyard typologies which can be residential as well as commercial or institutional. 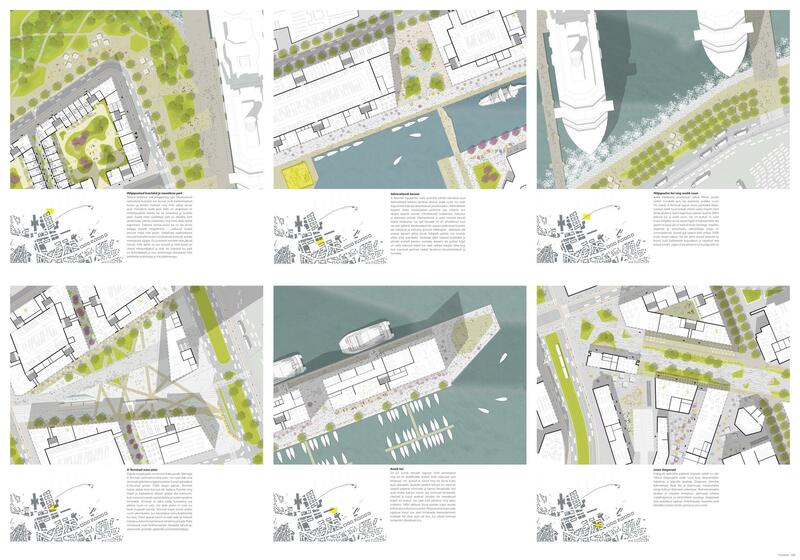 In the southern parts, the enclosed permieter block typology (analagous to Rotermanni or Telliskivi), is extended to the port area as a new creative office space area. Around Admiralty, highly mixed use commercial spaces are found. In the northern grid and along Reidi Rd, mixed-use residential areas are a created. In order to achieve a district that is useful and attractive for all income and demographic groups in Tallinn, it is critical that at least 20% of all housing is affordable. 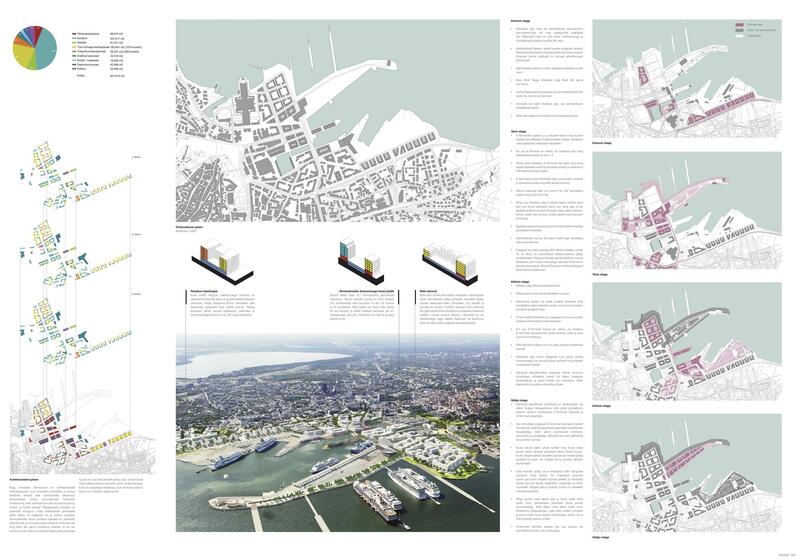 Streets leading from the terminals to the Old Town and Viru are envisioned as highly walkable and lined with commerce, incentivizing a growing proportion of visitors and locals to choose to experience Tallinn on foot. The Cultural Kilometer from Noblesser is continued along a newly created street that runs through the existing Linnahall tunnel to a city square in front of Terminal A and continues down south through public spaces around the Admiralty Basin and along a diagonal pedestrian walkway through a post-industrial creative district in the south. 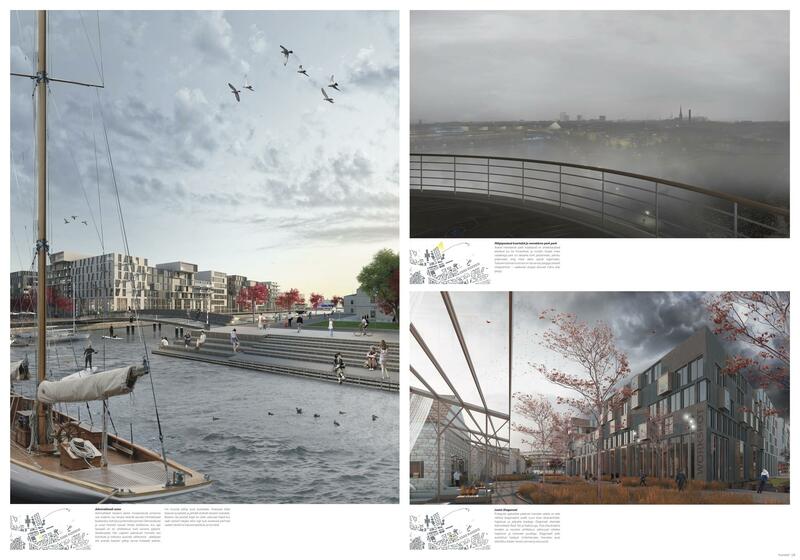 Additionally, a public waterfront promenade is continued along the northern sea shore from Patarei around Linnahall to the tip of the peninsula behind Terminal A. 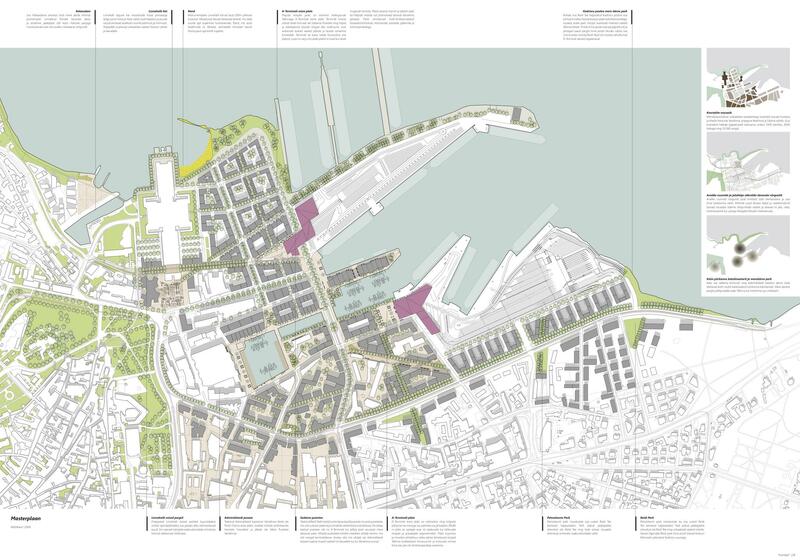 The proposed Masterplan embodies a significant urban development and real-estate opportunity around the harbor. 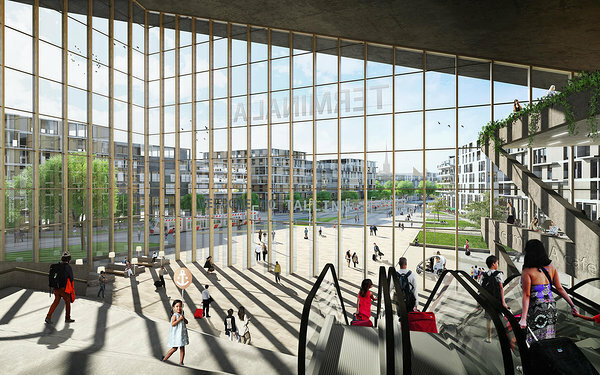 The full-build out of Phase 1, with improved Terminals A in the North and D in the south, achieves a total of 821,000 m2 of newly developed gross floor area. Of this, 43% is proposed as office space, 8% as hotels, 6% as ground floor retail and services, 22% as market rate housing, 6% as affordable housing, 2% as school and daycare, 4% as cultural amenities and 4 % as institutional, occupied by new city, state government or educational facilities. 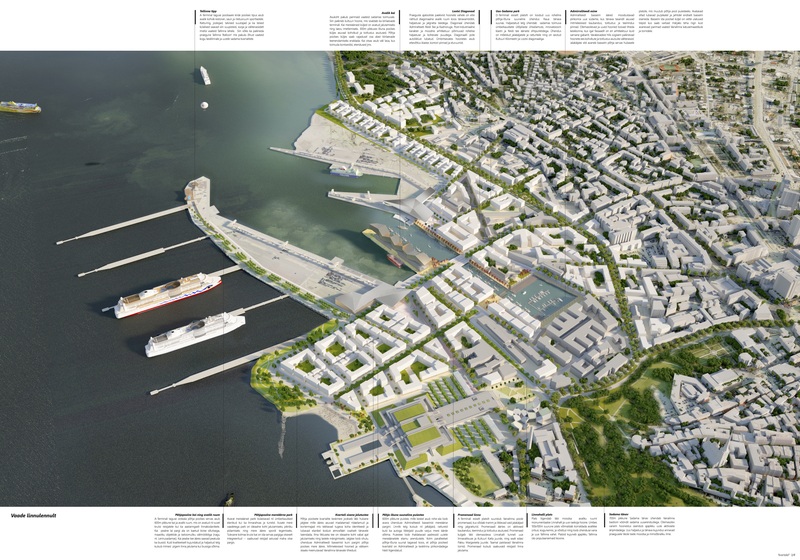 This level of new development provides enough room for city center growth and densification for decades and suggests that real estate development could be as important a business sector for the Port of Tallinn as shipping in the future. Andres Sevtsuk, Antara Tandon, Justina Stefanovic, Kees Christiaanse, Koen Klok, Raul Kalvo, Riikka Tuomisto, Ruurd Gietema, Teddy Kofman, Yonghui Chen.